Here’s what you need to know about motivating kids to get good grades – and what to avoid. I’d like to meet the parent who HASN’T bribed their kids at least once. We’ve all been there – a tricky situation where our kids simply WILL NOT do what we want them to. So we tell them we’ll give them something in return if they comply – a treat, more screen time, or money – just so they’ll do what we need them to do. These bribes are often used when the situation is critical – when major consequences are at stake if the kid doesn’t comply. Nothing fits that description more than school. How kids perform in school often determines where they go to college, what kind of profession they’ll have, or even if they’re able to graduate from high school. 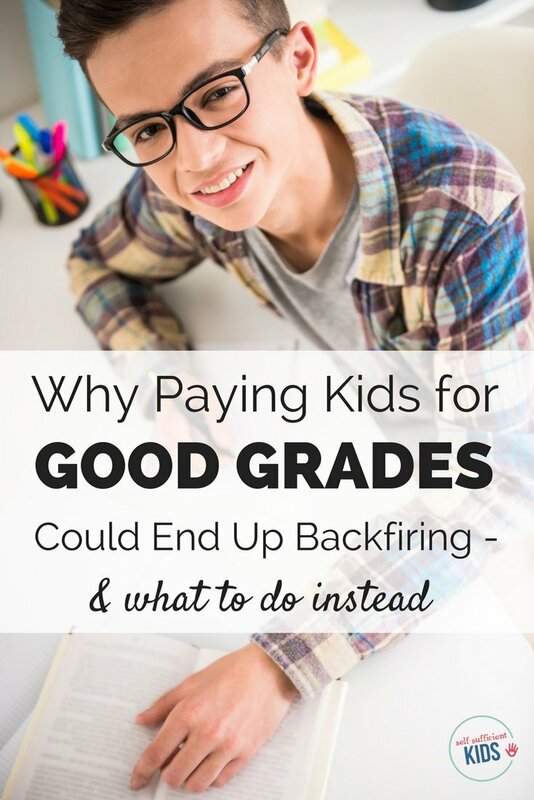 So in order to motivate our kids to do their school work, the best way to get action is to pay them for good grades – right? Research shows that paying kids for good grades often DOES improve them. When kids receive rewards – whether it’s for doing chores, limiting screen time or doing well in school – there’s almost always improvement. The floor is swept, the A is achieved, the test scores go up. But the question is – even if kids are able to achieve an A in Pre-Algebra or get a top score on a standardized exam with the incentive of cash, what lesson does it teach and will those improvements last? Psychological studies going back as far as the early 1970s have found that rewards programs often result in less engaged students. The studies show that students who receive rewards are being trained to do the minimum amount needed to get the reward – not developing an intrinsic love of learning that ultimately makes them more successful academically and as an adult. The other downside to giving kids rewards is that they put the responsibility for learning on the parent – who needs to come up with more rewards for sustained results and also has to continue to monitor success. And if a child decides the money is no longer worth the effort? The parent is out of luck. Carol Dweck, a psychologist and author, suggests to reward your child verbally. Once your child has achieved a goal, say how the effort and studying paid off and how you’re proud he improved his grades. Richard Ryan suggests that after a child does well, the parent can suggest a celebration, like going to a special restaurant for a meal. He argues that this is not a reward but just an acknowledgment and celebration of a goal achieved. “A reward that acknowledges a great effort is more effective than one that is promised upfront for getting an A. Appreciation is always a better motivator than control. “ Ryan says. Make sure homework is done before screen time: Although screen time could be viewed as a reward, it’s also teaching kids how to set priorities. Other activities that are more interesting to kids could be replaced for screen time. Emphasize the action, not the grade: Focus on the effort your child has put into homework, however small, and praise that effort. Also, remind kids that persistence will pay off. 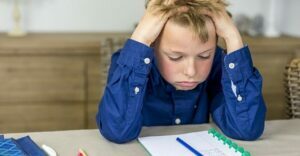 Give them the responsibility: letting children manage their own school work, for better or worse, is the best way to prepare them to navigate life’s ups and downs and become who they want to be.